Pacific World, one of the world’s leading global destination and event management companies, has identified the most demanded event and incentives destinations for 2019. From South America to Europe to Asia, the destinations that top the list have captured the attention of planners and demonstrated an ability to cater to MICE audiences from around the globe. As creative experts at the forefront of global event planning, Pacific World has a vast network of events professionals throughout the world with particular expertise to spot trends and curate unique and memorable experiences for their clients. Pacific World has compiled its annual destination list based on requests and number of events confirmed for 2019. The top worldwide destinations are listed, along with the top EMEA and Asia destinations. Once again, Spain continues to generate the most interest worldwide, topping both the worldwide and EMEA lists for the second year in a row. 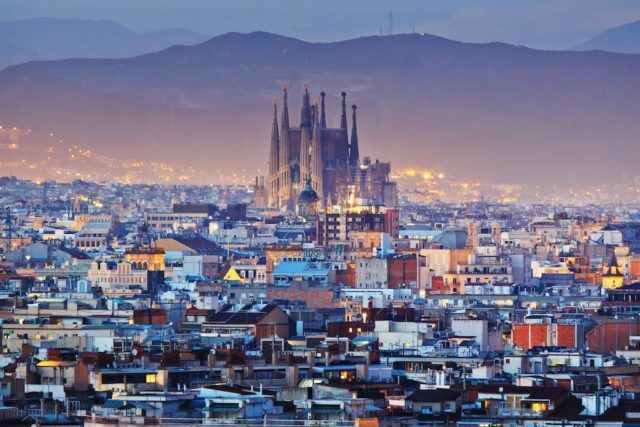 Spain’s popularity is bolstered by very proactive Convention Bureaus and influencers in major cities like Barcelona, Tenerife and Seville with effective strategies to appeal to MICE audiences. Thailand has moved up a notch this year to the 2nd position worldwide, buoyed by a strong Convention Bureau and the backing of local and state governments. Thailand is doing an excellent job of delineating audiences and adapting to trends – like social and environmental sustainability. “Recent news, like the results of the Global Destination Sustainability Index – which put Bangkok as the number 2 destination in Asia, will enhance the image of that city and help appeal to a new generation of planners who prioritize environmental and social sustainability when choosing destinations,” says Silvio. China, Indonesia and Singapore follow Spain in the worldwide list. China remains a strong player in the MICE market, with its staggering growth driving more interest from a wider swath of audiences. As more and more international and regional airlines open new routes to various cities, China’s most-sought after destinations are becoming more accessible. Likewise, Indonesia’s government is investing in existing destinations – like Bali and Lombok – while developing new destinations to drive new MICE interest.